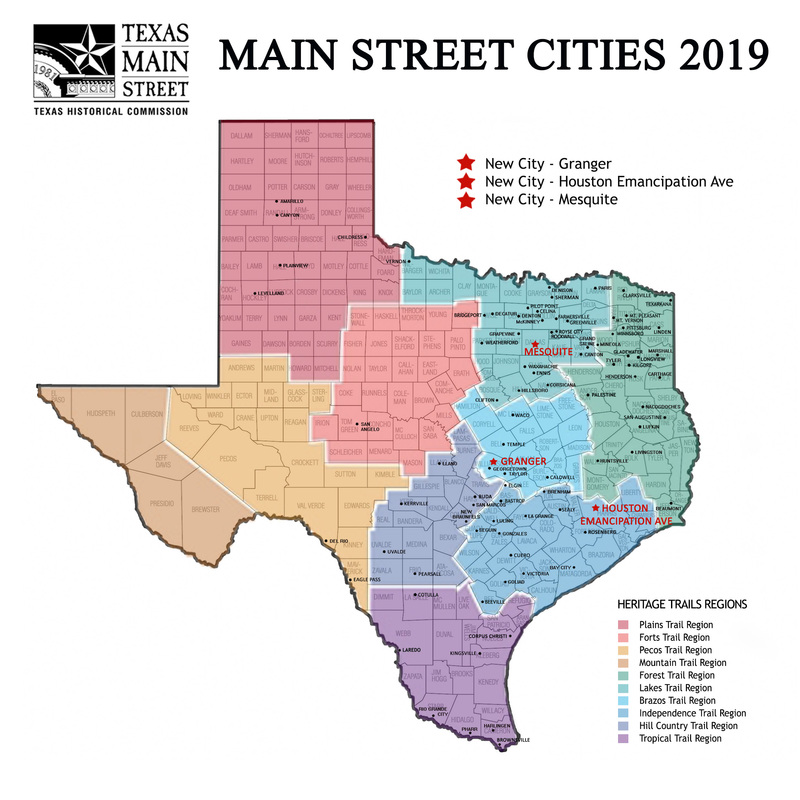 Like the state itself, the currently designated 90 communities that participate in the Texas Main Street network are diverse in many ways. They range from some of the very smallest communities in Texas to urban areas and they are spread all across the state. Of the currently designated Main Street communities, 74 have less than 25,000 in population and 15 have more than 25,000 population. Together, more than 2.5 million Texans live in these Main Street communities. Effective January 1, 2019 we will be welcoming Granger; Emancipation Avenue/Historic Third Ward district of Houston; and Mesquite. The diversity of Texas Main Street Program participants provides evidence that the Four Point model used nationwide by designated programs for more than 30 years can work for any community with a historic downtown. A nationally-utilized operational method is implemented in designated Main Street communities to help maintain focus on the issues needing attention, but it is truly the power of the residents, all working together for this common ideal of a revitalized historic downtown that makes the program work. Volunteerism truly is the backbone of the Main Street effort. If you live in a Main Street community, we encourage you to become involved in your local organization and help make your downtown something of which the whole community can be proud!